The first month of summer is having warm weather, but is often quite cold, which affects the bite. However, the summer has come, and if the days are Sunny, the water warms up quickly. Summer is a pretty hot time, and therefore, it is often reduced fish peaceful fish. The peak of activity occurs at the end of spring or beginning of June, as this time occurs after the intensive feeding and spawning the fish are biting on everything edible. June is a time of heated water, and therefore high activity of bream. It was the bream fishing in June on the feeder interesting from the point of view of catching large specimens. Feeder to catch bream in June can seem more complicated than spring, but at this time, many anglers cannot go fishing with a good catch. For example, in the period from June to August hook-caught specimens from one kilogram and above. Look for bream in the extraction of feeder is best on rivers with a quiet current, in lakes, ponds. 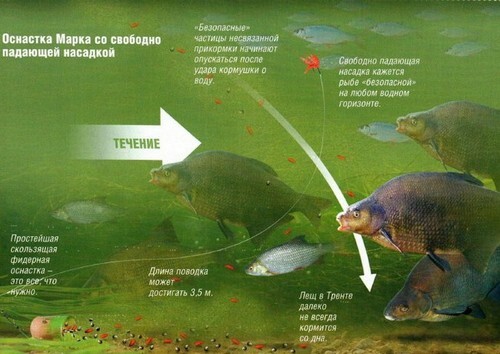 Bream prefer to stay near the pits and on the differences of depths in areas with sandy or clay bottom. 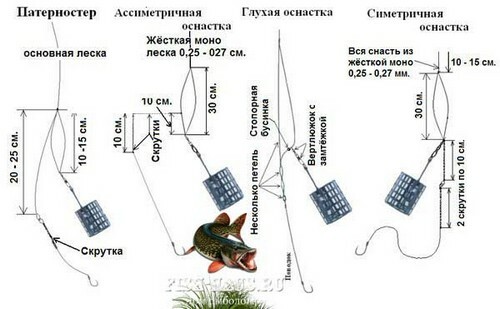 Interesting in June, fishing the feeder for bream on the tsimlyanskoye reservoir, on the Seversky Donets river, the river don, Lower Volga, Karelia, Kostroma region. In the peace river, any fish (including bream) medium-sized and large prefer to navigate on channel edges, carefully explores the slopes, entries and exits of the pit, places with slow or reverse the course, underwater large stones and any hiding places. In places where it is possible to find food, at least once a day there are shoals of bream. The bream fishing in June at the feeder on the waterways is more efficient. Because the current carries the bait down, tells the fish about the availability of forage and beckons fish. On the waters of calm water feeder bait attracts the attention of fish in a limited area of the bottom. 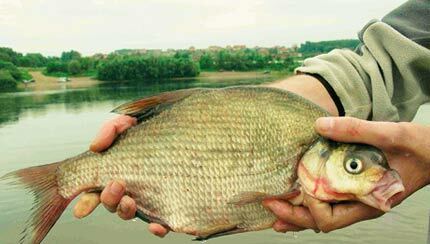 Because bream – fish sensitive and careful, you can use worms mixed with clay or soil. The soil is better to use directly from the shore. This bait can often save at a time when the fish does not want to bite. To experiment with the bait. Now the producers of bait try rather to consider the preferences of fish, and so, having bought a couple of packets, it is possible to go fishing. As bait used a bunch of worms, maggots. Go for the bream you need early morning, evening or night. As a rule, in these hours it feeds, collecting insect larvae. He is caught by day, but for day fishing it would be better to choose cool, cloudy weather. Night fishing at the selected location sakhalinets a few hours before fishing. This is necessary in order to lure Lesovoy pack. To overfeed so that, bream remained in place. a small red worm (up to three pieces on the hook). 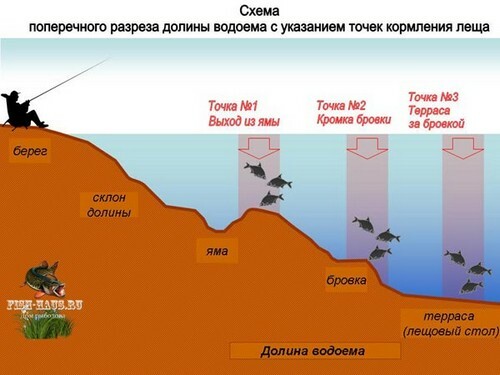 Sometimes with success caught in various water larvae (Kazar, grandmother, etc.). Of course the most convenient attachment is a maggot or worm. Not particularly common, but very attractive to bream head are pasta. then pour the soy sauce. All nozzle ready. You can also change components, add the ground oil cake, sunflower or Flaxseed oil, honey, cinnamon, etc. Baits of animal origin have to be quick on the hook – this sharply increases the number of bites. All feeder tackle should be light, but at the same time practical. Use a lightweight and durable feeder rod equipped with a spinning reel with a gear ratio of 4:1 to 5:1 approx with the coil size from 2000 to 4000 Szymanowski classification. If fishing is conducted in a fast stream, and bottom, dotted with large stones, then you need to use a coil for high-speed retrieves (with a ratio of at least 6:1). The diameter of the spool is selected depending on the diameter of the line.It is not superfluous to the presence of the coil baitrunner. The usual feeder rod has three brightly colored replaceable vershinki different hardness. The soft is designed for fishing on low flow, medium – fishing on the middle reaches, and hard tip of the rod is designed for fishing in the fast current. There are rods to which are attached more tips. Then at the chosen fishing water jet easier to pick signaller of bite. 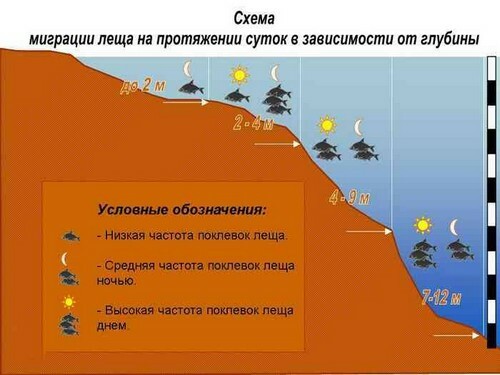 For river fishing choose the form of the feeder length from 2.5 to 3.5 M. In some cases use a longer rod, but for casting then you should choose free from vegetation shore. However, sometimes the long rod helps when fishing overgrown banks, if you use the pendulum cast. Mono fishing line used is not very thick, not greater than 0.25 mm, so as not to scare the sensitive fish. But you can not choose a too thin line, because bream can reach large sizes. Also perfect braided fishing line, can choose smaller diameter from 0.08 mm depending on the quality of the line. Also at forget about the leader for the feeder. Bites are rare, the bite of small skimmers — try extending the lead to 1-1. 5 meters. It’s certainly not 30 cm from 1.5 metres. Add as 10-20 cm, with step. The course plays into the hands of fidelista use the long leashes, because it’s pulling in the leash line, which allows not to lose the sensitivity of the bite when using asymmetric, symmetric loops and paternoster. It is important to knit loops and knots. So for the paternoster of Gradara surgical loop is done at least three turnovers. The description of the various montages of the feeder is presented here, with the right selection depending on the current, the type of habitat and soil. The length of the leash for the feeder for bream in still water — lake 40-80. This length is due to the lack of noise due to the flow on the bottom of the pond and therefore the mood of the bream to short leashes. Bite is weak, rare, fish sits down herself, frequent overlap and tangling of the leash set length of 10-20 cm less. Windage leash when submerged entry is reduced and leash lies on the arc, near the feeder. There are many different variations of foods, attachments, gear and rules of catching bream. But in fish, too, are different preferences that are not always immediately able to solve, and with experience, the angler better and better at it to do it.